I am not a very big fan of icy icy dessert. 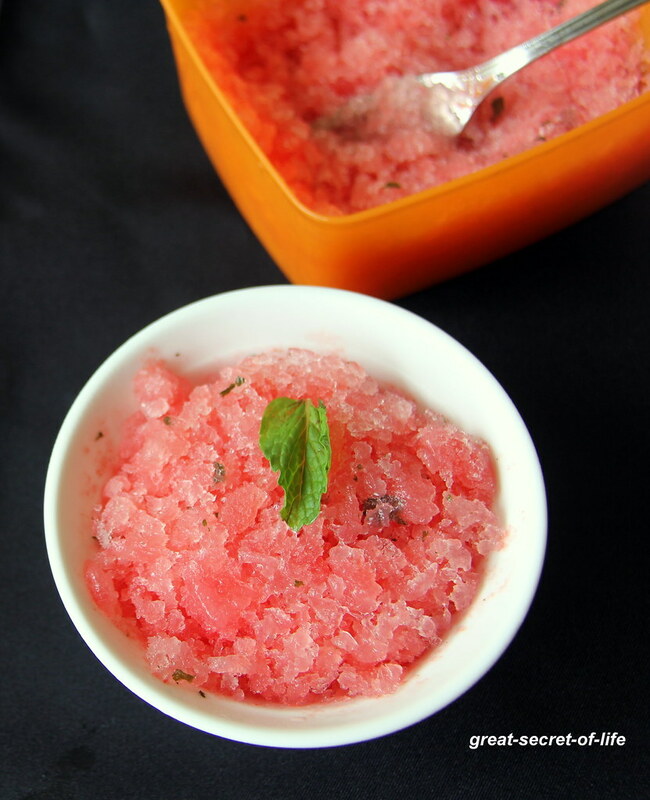 When I was carrying my 2nd son I was craving for dessert with ice. From there onwards I love to have dessert which are more icy desserts. 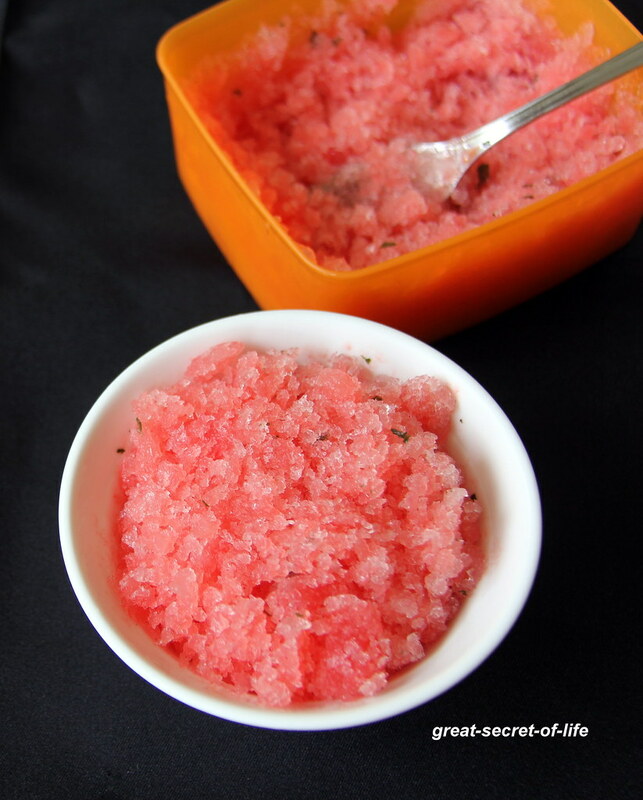 Fruits which are high in water content are good for making granita. 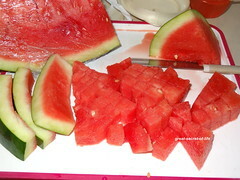 Sometime I get very very sweet watermelon. 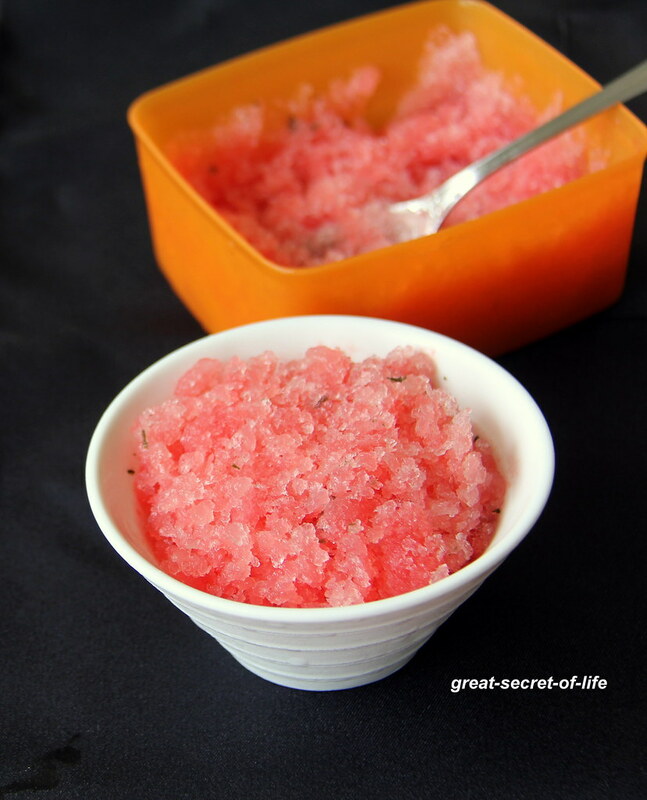 So whenever I get those variety after making juice for kids I will do Granita. 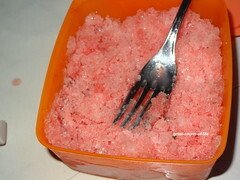 Of all I love watermelon granita. 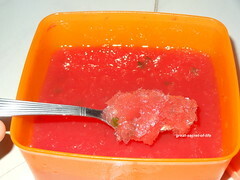 Cube the watermelon and make juice using food processor or blender. 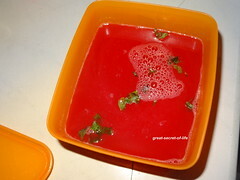 Strain to get clear juice . 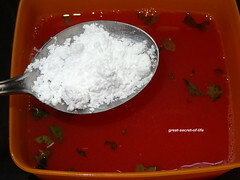 Add lemon juice, chopped mint leaves, sugar. Mix well. 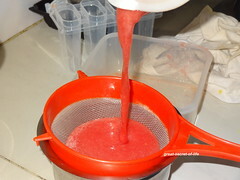 Pour it in freezer safe container. Looks so colorful and refreshing!! This is just perfect for the summer..